As a consequence of having a one-year-old child, this year I saw only ten films released in 2014. The only essential one was the unsettling and astounding Under the Skin (Jonathan Glazer). Next in line were All Is Lost (J.C. Chandor), Frank (Lenny Abrahamson) and Calvary (John Michael McDonagh). Locke (Steven Knight) gave plenty of food for thought, in terms of scripting and character development. Before my son was born I worried that I’d no longer have the attention span for ‘difficult’ cinema, but I was proved wrong. Being stuck in the house every evening has its benefits! My favourite films that I saw for the first time in 2014 include Luis Buñuel’s Viridiana and Diary of a Chambermaid, both subversive and compelling. For All Mankind (Al Reinert) was a revelation – how had I never seen this NASA Apollo footage before? I was blown away by the formal perfection of Ashes and Diamonds (Andrzej Wajda). Blue Is the Warmest Colour (Abdellatif Kechiche) and Stroszek (Werner Herzog) tie for the most engaging central performances. Hour of the Wolf (Ingmar Bergman) and Hunger (Steve McQueen) were the two films I found most unsettling. Other than For All Mankind, The Act of Killing (Joshua Oppenheimer) and The Thin Blue Line (Errol Morris) were my favourite documentaries, both exploring the truth via artifice, although Hoop Dreams (Steve James) came close. Alongside Cat People (Jacques Tourneur), my most purely pleasurable film experiences this year were Hammer’s The Abominable Snowman (Val Guest) and The Nanny (Seth Holt). The title track is the single most exciting song I’ve heard all year. It’s folk music for this century. It’s punk music without the posturing. It’s the short story I wish I’d written. Every so often I revisit a location important to me during my childhood. Each time, when I arrive, I worry that the magic won’t remain. Each time, I’m surprised all over again. Quixotism works in just the same way. Its simplicity seems mundane at first, until you begin to notice all of the irregular elements. Then it becomes hypnotic, even when the thump segues into jerky techno. It’s my favourite 2014 album for driving in the dark, occupying a similar place to Carter Tutti Void’s 2012 album Transverse. Everybody Down by Kate Tempest, for its genre-busting storytelling. Pipes by Katie Gately, an artist who’ll no doubt produce something even more astounding in the near future. 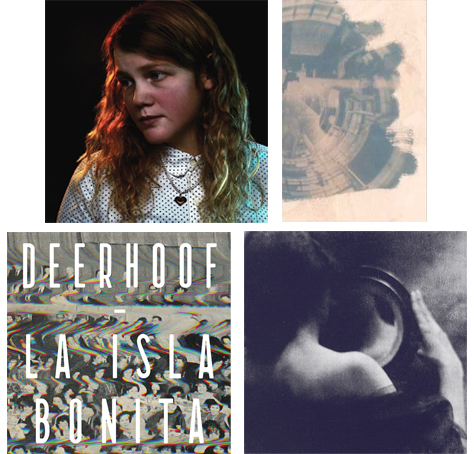 La Isla Bonita by Deerhoof – an unexpectedly direct and fun return to form. Wilderness of Mirrors by Lawrence English, for soundtracking my writing in 2014. And possibly, although it’s a bit soon to tell, Shadow of the Monolith by Lawrence English and Werner Dafeldecker. My absolute favourite is Gipsy Rhumba: The Original Rhythm of Gipsy Rhumba in Spain 1965-1974 from Soul Jazz, strange and diverse and loved by my son. Marshall Allen presents Sun Ra And His Arkestra: In The Orbit Of Ra on Strut is outstanding. The French Avant-Garde in the 20th Century on LTM is terrific, too. Anthology of Interplanetary Folk Music Vol. 1 by Craig Leon – astounding proto-techno from early-80s Takoma label. Money by Nath & Martin Brothers, the funkiest ride of the year. Furia by The Fates, a weird folk/post-rock diversion from 1985. 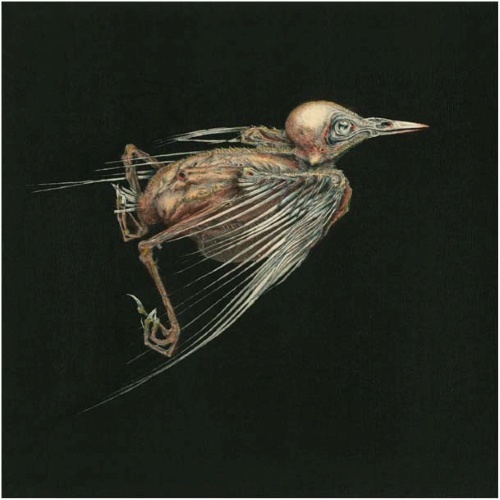 Thrill Jockey (new releases by Skull Defekts, Man Forever, OOIOO), Hospital Productions (Vatican Shadow), Exotic Pylon (Time Attendant, Isobel Ccircle), Editions Mego (Oren Ambarchi). 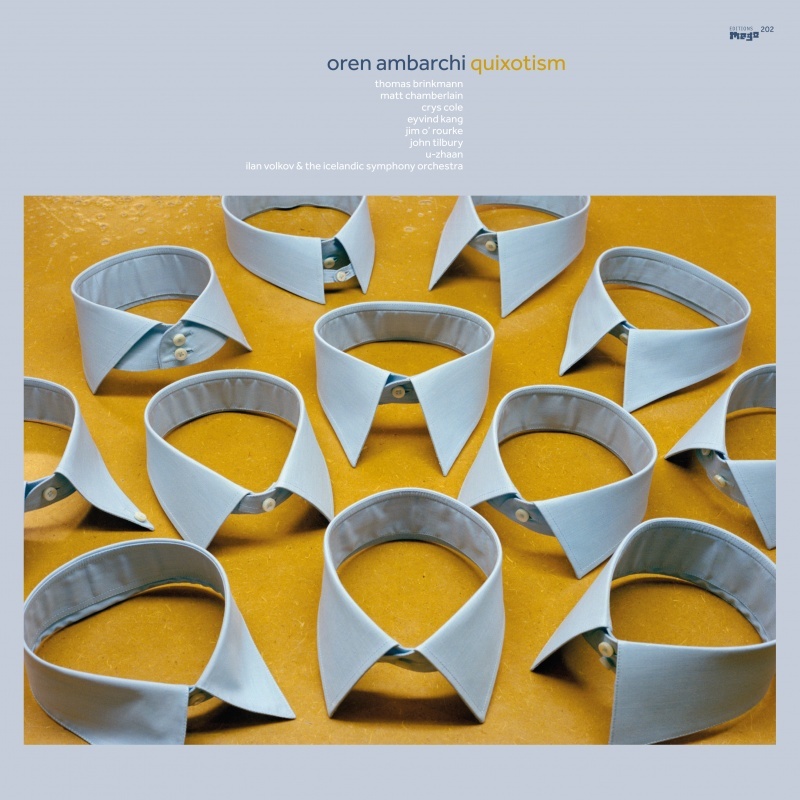 Even before the release of Quixotism, 2014 was, for me, the year of Oren Ambarchi. I heard 14 of his albums for the first time, five of which I adore (Connected, Grapes from the Estate, Intermission 2000-2008, In the Pendulum’s Embrace, Quixotism). 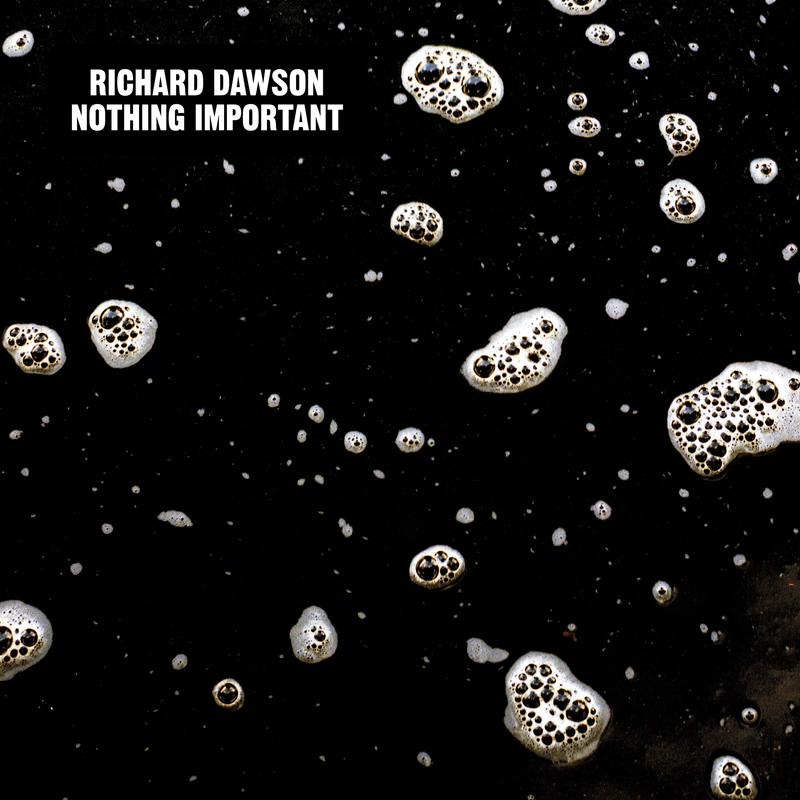 The combination of The Glass Trunk and Nothing Important puts Richard Dawson in close second place. Free jazz was another predominant theme – I love Karma by Pharoah Sanders and World Galaxy by Alice Coltrane. Hillbilly Tape Music by Henry Flynt is an eye-opener. What?? by Folke Rabe was on constant rotation for a while, during writing stints. Material by Emptyset is terrifying and exhilarating. Inspiration Information by Shuggie Otis features killer tunes. I felt embarrassed I’d never before heard Slates by The Fall. And Go Bo Diddley by Bo Diddley is another of my son’s favourites and therefore mine too. 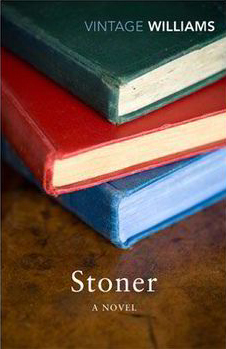 My absolute favourite this year was Stoner by John Williams, a story so familiar and everyday that each of the protagonist’s disappointments felt like a friend injured. Couples by John Updike didn’t let me down and opens up for me a whole world of Updike novels not featuring Harry ‘Rabbit’ Angstrom. Concrete Island, though flawed in its second half, is my favourite of the three J G Ballard novels I read (the others being High-Rise and The Drowned World). The Machine by James Smythe was the only recently-released novel I read, but I thought it was fantastic. My favourite non-fiction book was Understanding Comics by Scott McCloud. And I wish there were more books as digestible and unmissable as Sum: Tales From The Afterlives by David Eagleman. My favourite TV show this year was Fargo (FX/Channel 4), an unexpected treat featuring a plot more convoluted and characters more relatable than anyone had any right to expect. Like HBO’s True Detective, the anthology format gives high hopes for keeping things fresh in later seasons. BoJack Horseman (Netflix) was another show that oughtn’t to have been so good. The Netflix binge-watching approach worked in its favour, with a central storyline and the ability for single episodes to take diversions such as the incredibly bizarre ‘Downer Ending’. My far my favourite UK show was the rural murder-mystery Glue (E4), demonstrating that youth dramas could be just as complex as any gritty adult programme. The twists were satisfying and characters were allowed to fade into the background once proven innocent. The most frustrating misses this year were True Detective (HBO) – with six enthralling episodes followed by two that, for me, undermined most of the character development that came before – and Sherlock (BBC) – in which the writers fell prey to serving the huge online fanbase rather than the story. Finally, while uneven, Doctor Who (BBC) generally hit the spot, with Peter Capaldi and the raft of new writers excelling but the old guard dragging their feet.